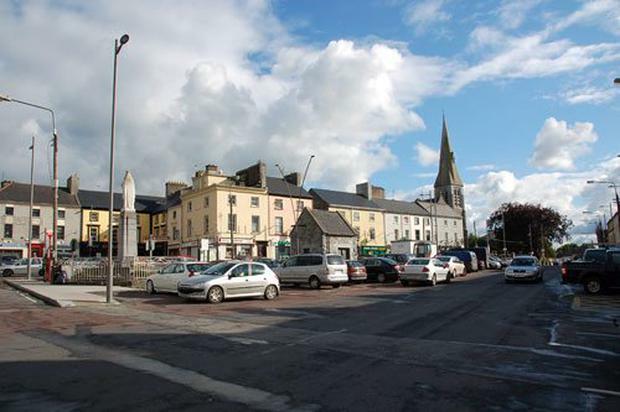 Athenry can look forward to a future of huge investment, hundreds of new jobs and the prospect of additional services. And while Apple's massive data centre is likely to benefit other parts of east Galway - and Galway city, of course - several other towns in Connacht can only look on with envy as they continue to suffer far higher than average unemployment and emigration as well as rapidly declining services. Prof Cathal O'Donoghue of Teagasc's Rural Economy and Development programme says small to medium-sized towns not served by a motorway or rail link have been especially hard hit since the downturn. "It's a vicious cycle," he says. "Jobs go, money isn't spent, shops and services close and depression sets in. You can see that in towns all over Ireland." Few will benefit from an investment of the magnitude of Apple, but Prof O'Donoghue believes there is still quite a lot that small-town Ireland can do to help itself. "It's about tapping into local amenities for niche tourism," he says, "or attracting specialised industry [such as medical-technology company Zimmer, who have established an operation in Oranmore, Co Galway]." But, he acknowledges, such action is easier said than done and last year's Teagasc survey on hard-hit towns illustrates the enormous challenges many towns west of the Shannon continue to face. We look at three towns west of the Shannon, but we could have chosen any of a dozen or more that are in decline, or at least struggling to survive. A decade ago, Gort was attracting nationwide attention thanks to its large Brazilian population who were employed in the town's buoyant meat factory. In 2006, an estimated 21pc of the workforce there was employed in the construction sector. Today, many of the Brazilians have gone and the factory, Duffy Meats, closed in 2013. Construction has been at a standstill for years and unemployment is running way beyond the national average. Prof O'Donoghue blames three factors for its difficulties: an over-reliance on construction prior to the crash; an unsustainable increase in economic activity over a short period; and an unsustainably fast population and housing rise prior to 2006. But with the Gort-Tuam motorway projected to open in three years, the Athenry-Apple development could provide a boon to the currently beleaguered town. The hometown of Taoiseach Enda Kenny has been hit especially hard over the past seven years. Along with Ballina, it was awarded 'Hub Status' under the National Spatial Strategy, but the benefits of this have been minimal. Vacant commercial premises, rundown buildings and a noticeable lack of new shops and services lend parts of the town a run-down feel. "It's a picture that's replicated in towns all over Ireland," Prof O'Donoghue says. "And it can hurt confidence." The once-thriving market town has experienced lean times over the past half-decade and has struggled to attract external development. While other parts of Connacht have successfully marketed themselves as tourist destinations, Prof O'Donoghue believes Castlerea and its hinterland has much untapped potential for tourism. "There are a lot of lakes within a short drive and there's scope there for specialised tourism." It's more difficult for those towns not served by motorways, he adds, but often there's untapped potential and the scope to attract certain industries.